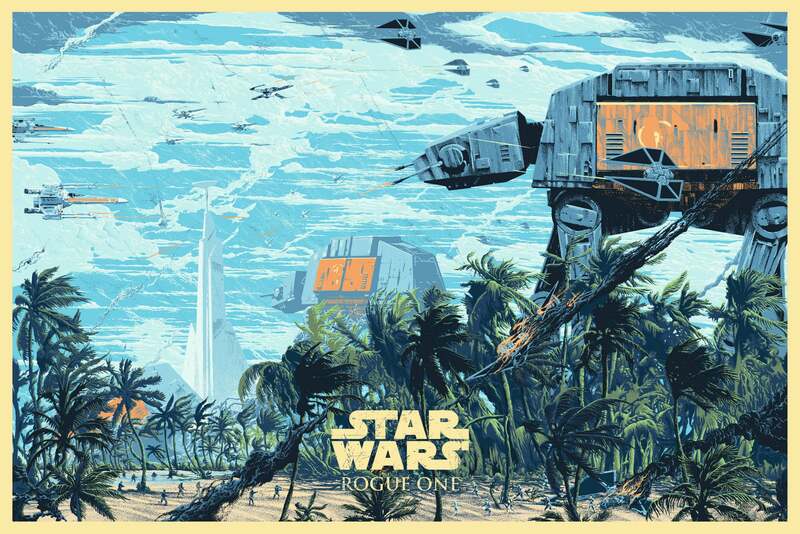 Bottleneck Gallery has teamed with Lucasfilm and Kilian Eng to create this awesome poster for Rogue One: A Star Wars Story. The regular edition, a 15-colour, 91 x 61cm screenprint, will be sold as a timed edition starting November 15 at 4:00AM AEDT through Friday, November 17 @ 3:59PM AEDT. The gallery will print as many as are ordered. It's $US50 ($66). 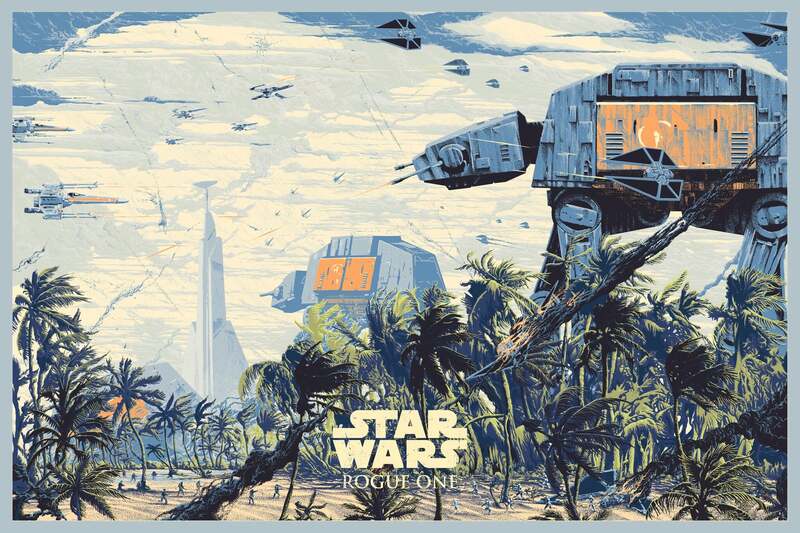 At the same time, a variant will be released in an edition of 200. It's $US60 ($79). Blow those things up (no pun intended) to get all the little details - the ships, the soldiers. 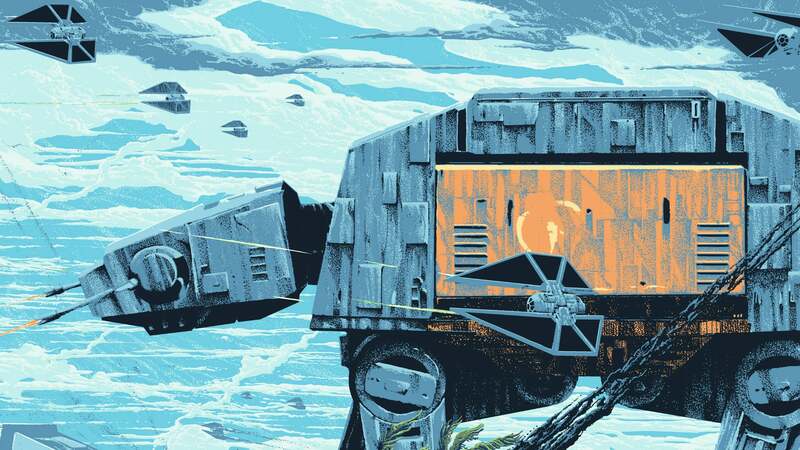 It's a great representation of one of the most colourful Star Wars action scenes of all time. Visit this link for more info or to buy the posters.